Back in 1970, a booklet came out called Positioning: The Battle For Your Mind, and it was a little orange booklet you could stick in your pocket. I read it, and was like, “Oh wow, this is what we have to do.” It’s better than all that advertising stuff that had come before. This is solid, logical stuff. 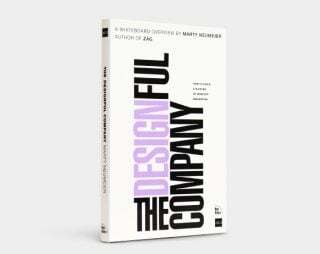 I started thinking about the designer’s role in creating a position for a company vs. the competition. The more I thought about it, the more I was able to sell that to clients. I’d say, “I know what you’re trying to do, and this is who you want to be. You need to make some changes, and this is how I can help you.” That was the start of my branding career, but it was a long-time coming. 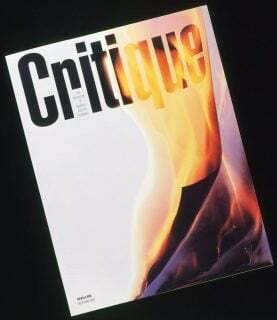 What was the thinking behind starting Critique magazine? I started Critique in 1996. The idea was to talk to designers and say, “We’re good at the aesthetic part of design, but a lot of us are lost as to what to do with it.” I started to see that even the people I thought of as heroes were creating work that didn’t make sense to a broader audience. A lot of it didn’t make sense to anyone. Paul Rand would say, it’s perfectly intelligible, and insist his work was great, but I could see that this kind of work wasn’t connecting with certain audiences. So Critique was a way to explore these topics. What are we really trying to do? Let’s reward ourselves with work that has an intended outcome. Did it work? Was it effective? It was a good exploration of these ideas. After five years, we didn’t have enough designers interested in reading it. We closed, because we were losing money every year and I was supporting it out of my own pocket. I was millions of dollars in debt. I came to realize that the design audience was never going to come around to this. They resisted learning too much about business and computers, or how to do things digitally. They just wanted to do it the old fashioned way and keep their world intact. It was frustrating for me. So I had to figure out how I was going to pay back this money. I realized I was talking to the wrong side of the equation. Instead of talking to designers about business, I should be talking to business people about design. I wanted them to understand the importance of it and what’s possible with design if they take a bit of initiative and learn how to manage design better. I was sitting around in this warehouse of unsold magazines, and no employees, and I wrote The Brand Gap. I wrote it in a hurry and when it was published, to my surprise, it started selling. It was an immediate hit. The Brand Gap was the founding document of Neutron. At Neutron we went to clients and started talking to them about what they need for their brands. I started training people on organizational structure, and we were swamped with work. It was going really well, and I kept writing books, depending on what people seemed like they were ready for next. About every three years I would write a new book. 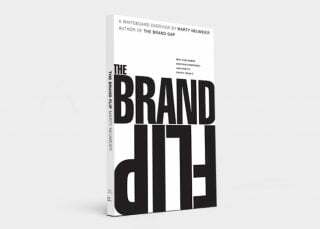 The Brand Gap laid out the territory of how the brand is created. Then people said the differentiation is counterintuitive and we don’t think like that. 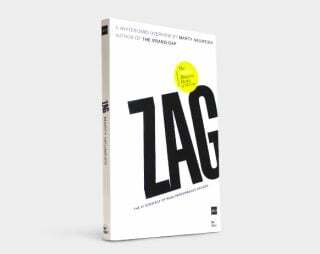 So I wrote Zag and that sold really well. Then people said, “I get it now, but to do this properly we need our whole company on board with this branding thing. We have to have everyone working together. You have to teach us about innovation.” So I wrote The Designful Company. 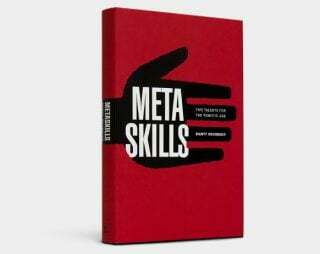 Then I wrote a deeper book called Metaskills for policy makers, and politicians and educational leaders to embrace a new model on creative thinking. Then I wrote the quick-start version of Metaskills for creative people, called The 46 Rules of Genius. 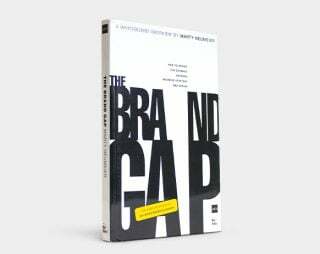 People kept reading The Brand Gap more than the others, and in that 13 years the world turned upside down. I went back and reread it, and nothing was really untrue. In fact it seemed really prescient. The main thing is that the brand isn’t what you say it is, it’s what the customer says it is, and at the time, no one had ever said that. It was revolutionary, and that has actually become more true. Everything that was controlled from the top was now being controlled from the bottom, with decentralization, social media, etc. I wrote the sequel, The Brand Flip, to focus more on what’s currently happening. It’s simpler and gets to a strategic essence of branding and business strategy really quickly. The books have sort of driven my career. As my thinking evolves, I make books, and in writing the books I keep learning new things. What’s the most exciting branding project you’ve ever worked on and why? Early on at Neutron, I decided we were only going to be a software packaging design agency. To do this, we knew we had to know more than everybody else, so we did research and learned how people make decisions about the software they buy and how the packaging influences the decision. The project that was a showcase for everything I’ve been learning was for the software division of Apple, called Claris. They had fun, young cool people, like Google now, and they had a great CEO, Bill Campbell, who used to be a football coach, but the nicest coach you’ve ever met. They asked us to redesign ten software packages, with another 15 coming out. The whole future of our company was based on getting this right. We did hundreds of sketches and mock ups, and we were talking back and forth with the client. We finally got it down to the 18 best ideas and we made miniature software boxes. They set aside a whole day where we would present this to the whole company and they would vote. We had the 18 little boxes lined up on the windowsill, and all the votes were put under each one. The CEO came in and looked carefully at each one, and he turns around and says, “I don’t like any of them.” My heart hit the floor. 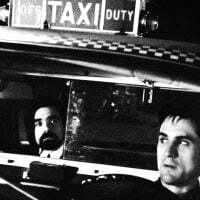 I said, “Go down the line and take out the ideas that you absolutely hate.” He flicks the ones he doesn’t like on the floor, and there were three left. He said, “When I got rid of the ones I didn’t like, it changed my view. These three, with a lot of work, could work.” No one is talking. Then one of the marketing people picks up one of the boxes off the floor, and says, “This is so crazy, but what if it was the best one, and we just threw it out?” I said, let’s test it. So we did research in stores with customers. People from Apple and Claris came and listened. It turned out that the one that was picked up off the floor was what people liked. That product packaging design increased profit by 45% with no changes to the product. It was like night and day for the company. We got tons more work from Apple as a result. It was a great experience, and it really taught me about how to do research for design. We never did another major project without testing, and it became part of our pricing structure. What is your definition of brand? There are a lot of wrong definitions out there. Wrong: It’s the advertising and marketing. Wrong: The product is the brand. The brand is a customers’ perception/gut feeling of a company’s product or service. The brand exists out there in people. It’s in their heads and hearts. Out of all the stuff you do, it’s what they make out of it. The stuff you put out isn’t it. It’s the stuff they take in. How do you control something that’s that ephemeral? Designers are very well suited to understand this stuff, if they put an effort into it. They get the subtleties behind it, but if they don’t have the strategic structure around it, then they are guessing a lot. Without any practical rational for why it’s good. Customers run your company. That’s what it’s about it. If you’re not helping your customers run your company, you’re going to be out of business. You turn the advertising and marketing to your customers—you concentrate on making good products and you give them the tools they need to spread the word, and it goes viral. Pay attention to them. They’re your ambassadors. The days of jamming the brand through huge, expensive ad campaigns on TV is gone. Its’ really about building tribes. A tribe is a group of people who talks to each other and share information about a new product or company. How are their lives are improved by what you’re doing? How do we cement this bond with customers so they never switch? If you’re designing a product, you don’t just do it in secret and spring it on them. You work through prototyping with customers involved in the process. You need to be constantly reminded about what “normal” people think. What do you think of the crowdsourcing sites like Kickstarter? It’s very interesting and very cool. One of the good things about this is that your assumptions get tested with your audience. So you put it out there to see if people will like it. If you’re wrong you won’t get funded, and you won’t lose money either. If you’re getting good feedback, you can change it as you go and work with your customers to help you design your product and buy in. You don’t have to do this with a crowdsourcing site. You have your core audience in the game with you helping you co-design your products. Without this, you’re really just guessing. If you’re guessing, you tend to be very conservative. Not that designers want to be conservative, but certainly companies do. Without testing, a CEO may stick with something safe, rather than trying something new that could be really great. They tend to go with something that’s been done before, so by definition it’s not innovative. You really need this process of testing and taking bold risks in the testing stage and tweaking them so they work. That was my mistake with Critique. I thought I knew what the audience wanted and by the time I figured out they didn’t, it was too late. What question are you most often asked? Creative people say, “It’s all well and good to say to be different, innovative, and use great aesthetics. I know that, but I can’t get other people to go along with my ideas. It’s not me, it’s them. How do I convince them to go along with me?” The answer is that you have to be more empathetic with them because they don’t have the training you have. They haven’t put the time and effort into the project like you did. All they have is a grab bag of memories of other projects that they’re comparing yours with. It’s going to be tough, but you have to think about how you’ll bring people from A to B. It takes patience and you’ve got to keep telling stories about what you’re doing so you build up this rationale over time and why this could work. It’s a lot of work to bring people along. It’s more work than actually doing the project. What do you think of the branding agencies that focus on storytelling as their hook? It’s sort of a buzz concept. It’s important, but I think what we forget is that we aren’t the ones who should be telling the stories. The customers should be telling the stories. We should tell them a basic story, give them the working ideas, and let them tell the story about you. This is hard for people who want to do the storytelling. That’s one-way communication. 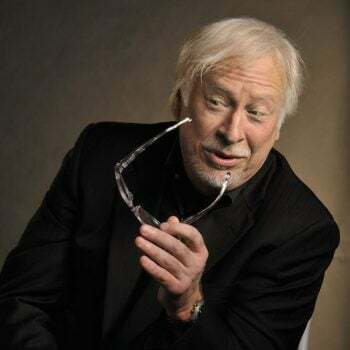 That’s, “I tell you something, and you either want to believe it or not.” It’s not as good as involving people in the experience of your product or service or company. However, storytelling internally, is important. Tell stories to each other to feel confident to go forward with something you’ve never done before. Do something radical. Do you ever get tired of talking about brands and branding? I think I make other people tired. To me it’s fascinating and there’s so much more to learn. It’s always changing. It’s somehow very difficult for people to think about this new way of doing business. If you think branding is a subdivision of marketing you’re out. The customer is all important. The brand is the most important thing in the company, even more important than the product, because it’s the thing that builds loyalty and keeps your engine going. Tell me about your new project, Beginning French, that you’ve taken on with your family. Why the desire to do a book vs. just live the experience? We’re living in Silicon Valley, but we really missed the romance of smaller towns. 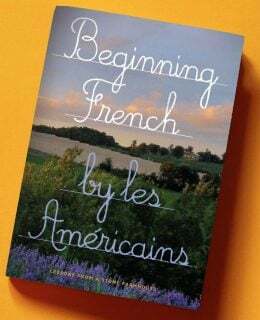 We thought let’s get a house in a foreign country, so we settled on the Southwest of France, in the country and have had all kinds of little misadventures. And we decided let’s share it. It will be fun and we can relive it. Anyone who’s ever had that idea, can get a sense of what it’s really like. We’ve been working on this house for ten years and getting so much enjoyment out of it—along with many challenges along the way. My wife is an amazing storyteller and our daughter is an amazing chef and she wants to experiment with food and teach and share what she’s knows. So we decided to collaborate on this book and share our stories. Not in the typical, old-fashioned sense of stopping working entirely. I love creating stuff and doing projects. My idea of heaven would be to work on projects I like to do in my own way and in my own time.